Save time and make the installation of your 19” rack or enclosure safer and more efficient with the right products from Middle Atlantic! MAP systems will facilitate work for the integrator, increase equipment safety and offer a perfect appearance to the user. Manufacturers of 19" racks and compartments are as many as stars in the sky. Most of them have their roots in telecommunication or electrical construction. There are many manufacturers of 19" racks. Most of them have their roots in switchboard technology or telecommunication. MAP is different: they have their origin in the music and AV industry. MAP has developed its cleverly devised innovative product range with this background and based on their collected experience regarding the requirements of the equipment to be mounted in the racks. In addition to the aesthetic design and professional look of the racks, the focus of MAP is always on the needs of the integrator. quickly and easily on the location. 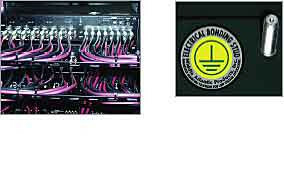 These and other innovative and advantageous features set MAP off from other rack manufacturers. MAP racks offer professional solutions to the customer and make the work of the integrator easier and more efficient.